Are you getting your novel ready for submission? Before starting to build his own list, literary agent Steven Salpeter read manuscripts for agents at three major agencies and sent revision notes to over one hundred successful authors. Based on this experience, Steven identified the seven biggest mistakes he routinely saw from authors and how you can avoid them when revising your MS. Whether you’re writing your debut or your break-out, the pitfalls covered in this session could potentially stop your polished manuscript from finding the success it deserves. Don’t let this happen to you! Let a literary agent walk you through the biggest mistakes writers make when revising their manuscripts and querying literary agents. 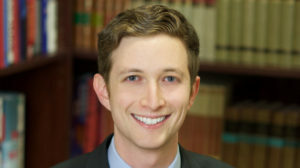 Steven Salpeter is a literary agent at Curtis Brown, Ltd. Steven represents Pitch Wars mentors Joanna Hathaway and Brianna Shrum. He began his publishing career at Writers House and Brandt & Hochman before moving to Curtis Brown to assist an agent and help the CEO manage many of the agency’s venerable estate clients, including W. H. Auden, Stanley Ellin, John Knowles, Alfred Lansing, and Ayn Rand, among other bestsellers and literary award winners. He is now actively building his list, seeking literary fiction, fantasy, graphic novels, historical fiction, mysteries, thrillers, young adult, middle grade and authors who can blend elements of these genres. He lives in New York City. If I am unable to attend, will I receive a copy of transcript or an audio file? Yes! We will email a recording to all registered attendees within one week of the live show. Thanks for asking. Are we supposed to get an email for confirmation that we registered and a link to the webinar? I haven’t received one yet if we are. Yes, it will go out by noon today.